Only ONE Registered Keeper from New, Just Serviced, 6 Stamp FULL Service History, Fully PDI Checked, FREE Road Tax Band, Next MOT Not Due Till January 2020 & Done 70,000 Miles. STOP PAYING SO MUCH TAX, You Already Pay Enough & Don't Need To Pay More on Fuel, This Car Will Save You Fuel Money. Spec Level Includes KEYLESS Entry, 4WD, Half LEATHER Seats, Privacy Glass, Auto Headlights, Auto Window Wipers, 4 Way Electric Windows, Cruise Control, Climate Control, AC, Both Heated Windscreens & Multi Functional Steering Wheel Controls. One of Japan's major automotive manufacturers and maker of class-leading vehicles including the Mirage, Outlander and Shogun, Mitsubishi is a name you can trust when searching for a pre-owned vehicle. 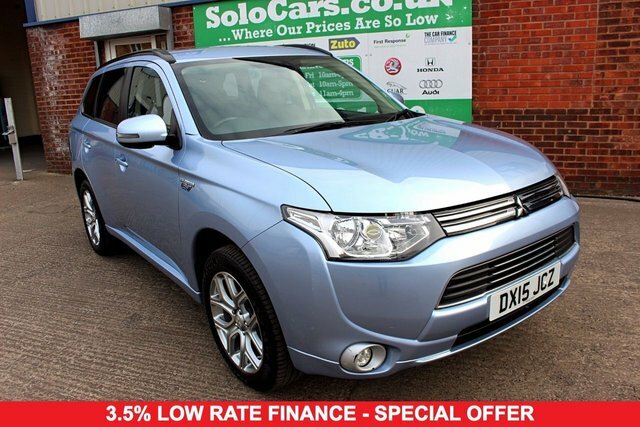 Start your search for a used Mitsubishi in Liverpool right here at Solo NW Limited. We're a leading supplier of quality second-hand vehicles and with our help you're sure to find a model to suit your lifestyle and your budget. It's simple to browse our latest range of used Mitsubishi cars here on the website, but be sure to contact a member of the team if you'd like more information or are ready to book a test drive.